A nationwide school strike over climate change has been 'applauded' by the head teachers' union, leaving many furious. 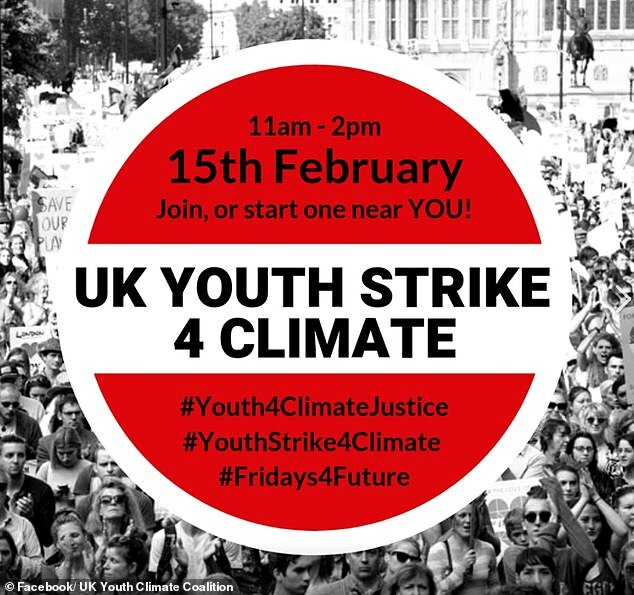 The mass walkout called UK Youth Strike 4 Climate currently has students in 38 cities and towns across the country planning to join them on Friday's protest. It is expected thousands of pupils from places including Cardiff, Brighton, Exeter and Glasgow will down their books for three hours, reports the Sunday Express. 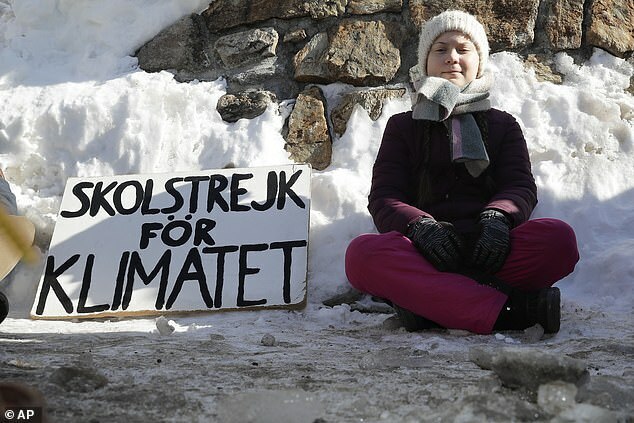 This isn't the first time that young people have coordinated action against climate change and the UK strikes have taken inspiration from a 16-year-old Swedish activist. The National Association of Head Teachers, which is chaired by Andy Mellor, has welcomed the day and 'applauded' students for being prepared to take action. A spokesman said: 'When you get older pupils making an informed decision, that kind of thing needs to be applauded. 'Society makes leaps forward when people are prepared to take action. However some have been quick to critisise the protest calling it 'ridiculous' and 'just truanting'. The Department for Education said regarding the individual protests across the country, they are a matter for individual schools. However a spokesperson added that pupils can only take term-time leave in exceptional circumstances, and where this has been authorised by the headteacher. 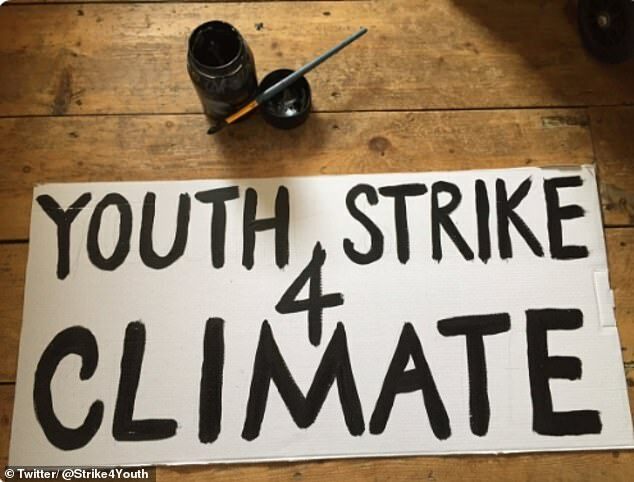 Writing on their Facebook page, the UK Youth Strike 4 Climate group explained the reasons behind their action, saying: 'The World's Youth are waking up. 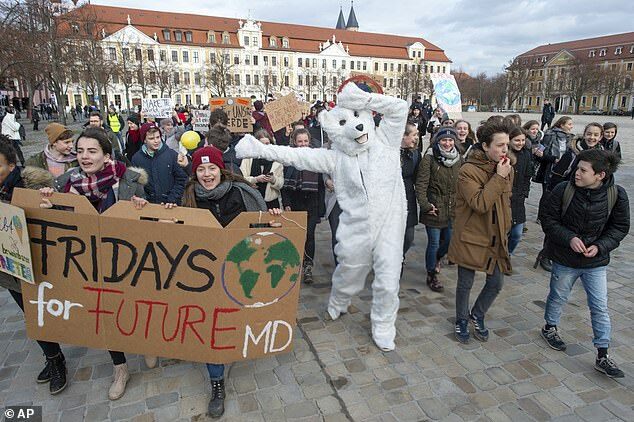 'Millions of young people are realising it's now or never and are now taking direct action on the climate crisis and ecological catastrophe. 'Whether you are at school, college or uni, go on strike on the Friday 15th February. Depending on which strike is being attended, pupils are told to meet at prominent locations such as outside Parliament Square in London and the Scottish Parliament in Edinburgh. 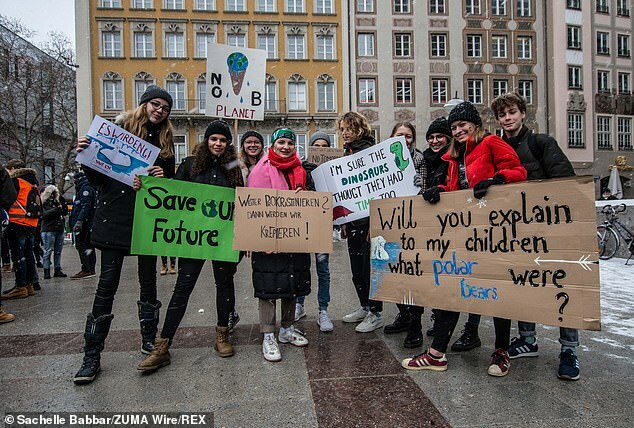 The children's climate change movement started last year when 16-year-old climate activist Greta Thunberg started Fridays for Future. Last November 15,000 Australian pupils left their classes over concerns about the planet. As well as Australia, there has also been strikes in Germany, Switzerland, Canada and Japan. 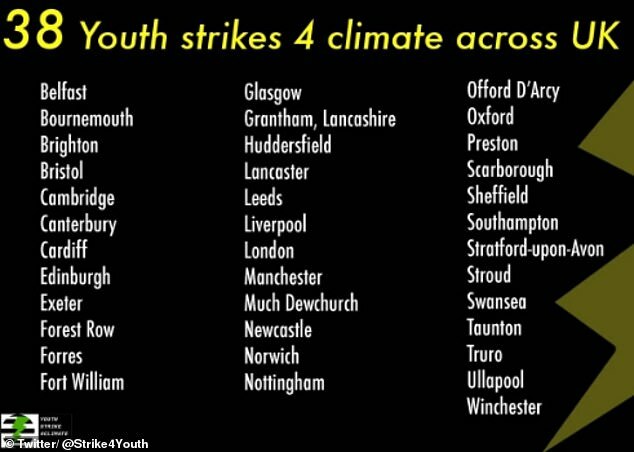 Jake Woodier, of the UK Youth Climate Coalition, which is helping to coordinate the strikes, said Greta's message struck a chord with young people in the UK. He told the Guardian images of Greta's solo protest outside Sweden's Parliament 'really inspired people' to take action themselves. I applaud our children getting involved. Since you must miss some school; as an assignment please research and promulgate this thesis "The wide spread notion that Global Warming has impacted the World's Polar Bear Population by substantially DECREASING our Polar Bears: is as true as Global Warming is true"